The interview was also aired on KBOO community radio’s Food Show in Portland on July 15. 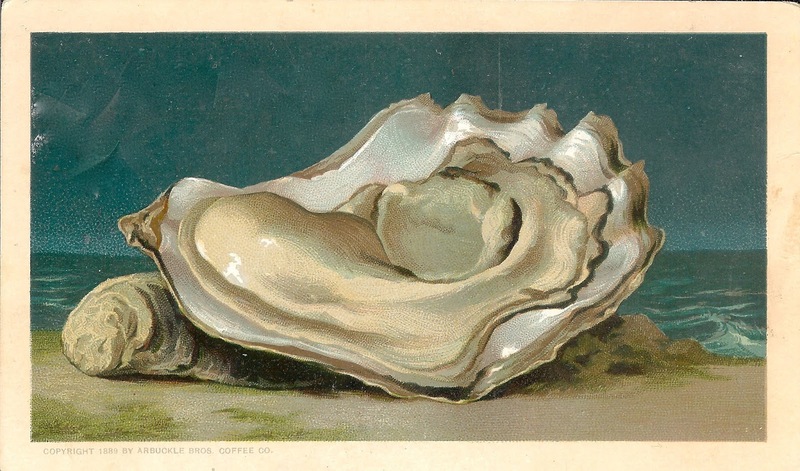 Chris wanted stories, so there are stories about the rise and fall of horsemeat commerce, and about oysters. 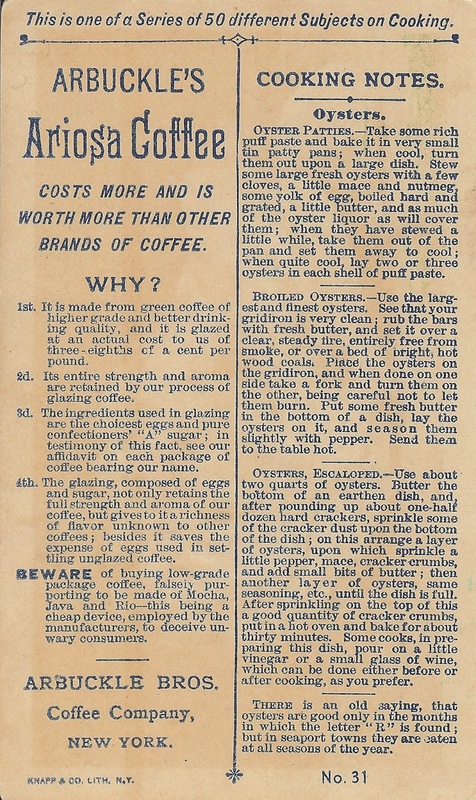 The oyster stories derive from two items of paper ephemera: a restaurant menu from Eastern Oregon during World War I, and an 1889 advertising trade card from Arbuckle’s coffee.